Your Schedule. Your Comfort. Our Business. Meet the trusted, family-owned team that’s 100% serious about your satisfaction. Your HVAC system runs about 3,300 hours a year. Trust Larson to keep it efficient, safe and reliable. Arizona heat is no match for our certified cooling experts. Heating service done right—the first time. That’s Larson. Energy audits mean lower utilities & improved comfort. We know what it takes to keep your business running strong. The Larson name is associated with quality and trust. 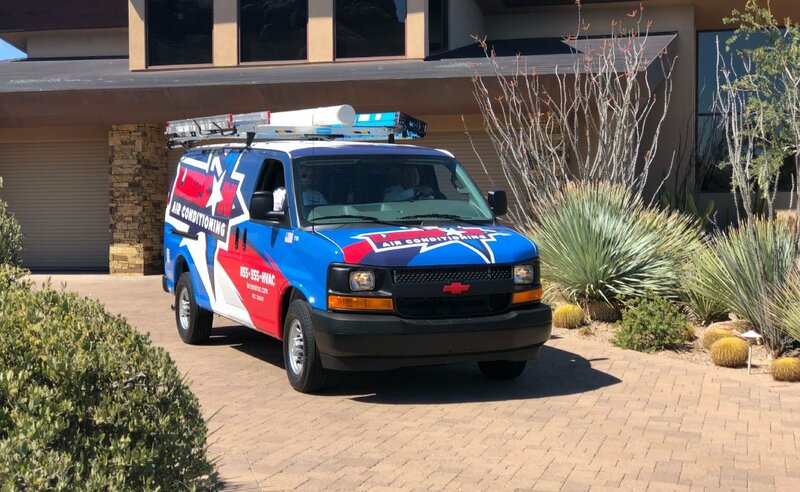 Delivering guaranteed value with every service call, we’re building lifelong relationships with Phoenix, Scottsdale and Paradise Valley customers who count on us for comfort. At Larson, complete satisfaction is more than words. From our prompt arrivals, certified craftsmanship and flawless attention to detail, it’s our assurance that your customer service experience will exceed your expectations in every way. Home energy audits. Houses of all ages benefit from Larson’s home energy evaluations. During this performance audit, we conduct a thorough evaluation of HVAC equipment and duct systems to pinpoint costly inefficiencies and lower cooling bills. Duct services. An average of 20 to 30 percent of conditioned air is lost through leaky ducts. 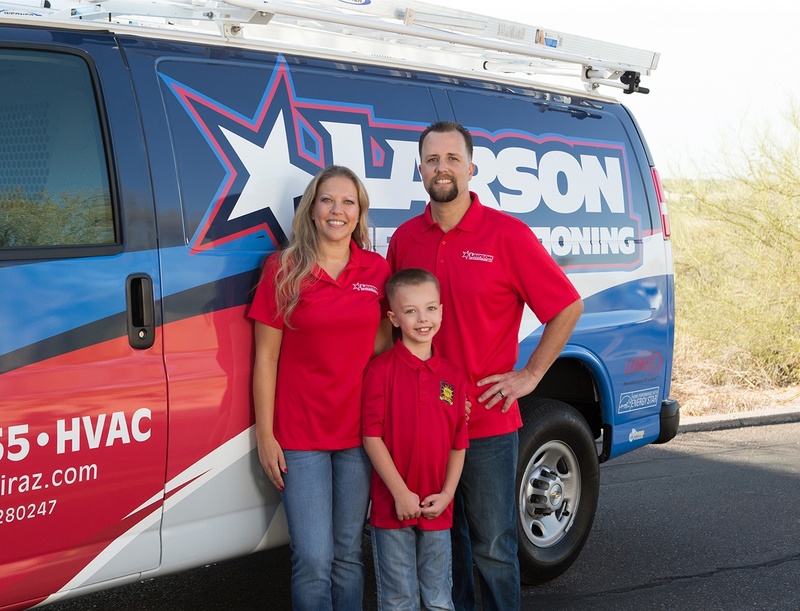 Larson specializes in duct repair and replacement, as well as new duct installation. Radiant barrier insulation. Poor insulation contributes to inconsistent cooling and costly energy waste. According to the Environmental Protection Agency, attic, floor and crawlspace insulation services can deliver notable energy savings. Air conditioning service. In the scorching Arizona heat, high-efficiency cooling keeps your family healthy, happy and productive. 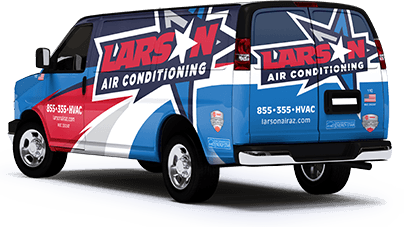 Larson provides industry-leading AC installation, maintenance and emergency service. Commercial HVAC service. Heating and air conditioning breakdowns can devastate a business. Count on Larson’s licensed experts to keep your business environment safe and comfortable. Invest in your comfort, savings and peace of mind. Your Arizona heating and cooling system is a workhorse that powers through, season after season. Give it the care it needs to run stronger, live longer and minimize costly breakdowns. Lifelong client relationships begin here. Discover what new and returning clients are saying about Larson. When your Arizona AC breaks down, there’s no time to waste. Contact our comfort specialists.